Quantico, VA- Nationally recognized veteran service organization, Semper K9 Assistance Dogs, has been nominated for Academy of United States Veterans Veterans Awards (Vettys®.) 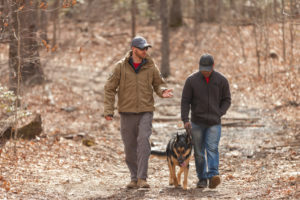 Semper K9’s mission is to enhance the quality of life of wounded service members and their families by providing them custom-trained service dogs. 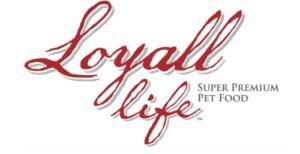 Utilizing rescue dogs from high-kill shelters and some donated dogs, Semper K9 provides assistance free of charge. 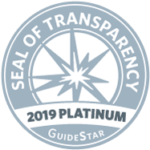 “It is an honor to be nominated by someone in the veteran community,” said co-founder and executive director, Christopher Baity. 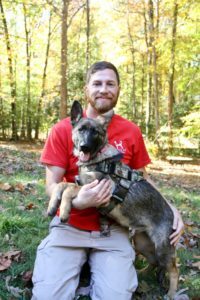 “Having this platform to showcase the work of our volunteer team and the success of our veterans is huge.” Baity, an OEF/OIF USMC combat veteran, founded Semper K9 in 2014 with his wife, Amanda. Together, they lead a team of over 125 volunteers and have assisted more than 50 veteran and service dog teams in the last four years. Based in Northern Virginia, Semper K9 is currently building a training facility adjacent to Marine Base Quantico, which, when complete, will allow them to triple their mission’s impact. 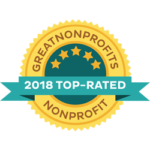 Semper K9 is nominated in the mental health category, which recognizes the work of organizations or businesses that provide outcomes beyond exceptional for the quality of public service in the mental health arena. Mental health is a significant issue among the veterans community and in great need of attention. Praised by the community of our nation’s finest for its symbolic gesture of unity, empowerment, and collaboration, the Veterans Awards also known as the Vettys® is presented by the Academy of United States Veterans and its partner organizations. The ceremony solely honors public servants, leaders, and innovators within the veteran’s space. The Vettys® focuses on organizational, individual and community excellence. The 4th annual Veterans Awards will be organized in partnership with Disabled American Veterans, The Independence Fund, Coalition to Salute America’s Heroes, and Melwood Veteran Services. The ceremony will take place at The Watergate Hotel in Washington D.C. on January 201th and will be hosted by CNN Anchor and Chief Washington Correspondent Jake Tapper. Visit www.vettys.org for ticket purchases and more information.